Yesterday, President Donald Trump announced a new round of tariffs on Chinese goods — $200 billion to be exact. In response, China issued a $60 billion levy on U.S. goods. In an increasingly global economy, prospects for a trade war with China tend to foster nervousness among investors. Many companies depend on lower-cost raw materials and cheap labor to provide affordably priced goods. Hence, when this trade war began at the beginning of the year, the market fell into correction territory. The U.S. market has mostly recovered from this slump. A prolonged war and the sustained higher costs that go with it would likely reduce revenue, sales, profits, and ultimately, employment and stock prices. Even with an overall negative effect, some stocks operate largely independent of these forces. After spending years in a challenging competitive position, AT&T (NYSE:T) appears to have innovated its way into an ideal situation for both itself and its investors. Years of struggles have placed its valuation at low levels. Now, its pricey, extensive 5G wireless network is about to begin yielding revenue. Only three companies (or possibly four if Sprint (NYSE:S) remains independent) will offer such a service. While I could make many of the same arguments for Verizon (NYSE:VZ) or T-Mobile (NASDAQ:TMUS), financials make T stock stand out. 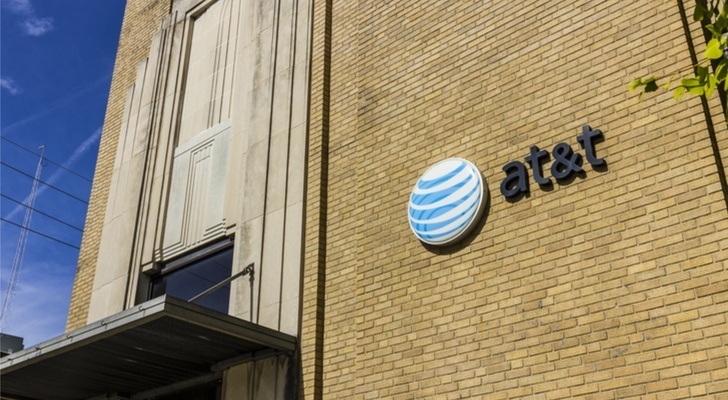 AT&T trades at a forward price-to-earnings (PE) ratio of 9.6. Regarding growth, analysts predict a 15.1% rise in net income for the year. Over the next five years, they predict that growth will average of 6.2%. However, that could go higher as we find out what capabilities 5G brings about that are not possible in the current 4G wireless environment. It also offers a dividend yield of over 5.9%, more than triple the S&P 500 average of 1.9%. Because of its so-called “dividend aristocrat” status, breaking its decades-long record of dividend increases would devastate the stock. For this reason, investors can likely expect another dividend increase in December. Best of all, these benefits will take place within the confines of the U.S., minimizing the effects of any trade war. With the low PE, the high dividend, and domestic focus of T stock, AT&T finds itself in a stable position regardless of how long any trade war persists. In a challenged economy, small luxuries such as a refreshing adult beverage carry people through in harder times. As such, Constellation (NYSE:STZ) owns many of the more popular brands sold in the U.S. It also derives more than 90% of its revenue from the U.S., so a trade war with China hurts the company little in that regard. Its forward price-earnings (P/E) of 22.2 will probably neither attract nor put off investors. One might say the same thing about the 1.4% dividend yield. However, dividends have more than doubled since 2015. In the last year alone, the company hiked the annual dividend from $1.96 to $2.96 per share. Maintaining that pattern of significant dividend increases should draw investors over time. Also, its growth deserves attention. Profits have grown by an average of 27% over the last five years. Wall Street expects that net income will rise by an average of 12% per year over the same period. One of the growth drivers will likely come from marijuana. As legalization looms in Canada and grows increasingly likely in the U.S., Constellation’s investment in Canada-based Canopy Growth (NYSE:CGC) appears more visionary. Our deteriorating trade relationship with Canada could reduce the potential benefits of this relationship. With or without a trade war, this gives the company a leg up in bringing cannabis-infused products to the market. With its increasing profit growth and its lead on marijuana-infused products, I see STZ stock performing well whether or not this trade war continues. Dollar General (NYSE:DG) has proven in past years that it can achieve double-digit growth in good times and in bad. Despite low unemployment rates and higher levels of disposable income, the store’s low prices still resonate with customers. That appeal would probably intensify in the event of a trade war. A combination of tight-fisted and unemployed customers attracted to Dollar General’s low prices will continue pushing profits higher. I also like this stock better than its main peer for two reasons. One, since Dollar Tree (NASDAQ:DLTR) acquired Family Dollar, DG stock has become the leader in profit growth. Moreover, unlike Dollar Tree, Dollar General has not tied itself to the $1 price point. Finding products that can be sold profitably at $1 will become more difficult without the help of Chinese imports. Such a move would play further into Dollar General’s hands. If predicted profits of $6.10 per share come to pass, the stock will trade at a forward PE of 17.8. This comes in at a reasonable level, especially considering the expected growth of 33.5% for this year. Over the next five years, analysts forecast 15.1% net income growth per year. To be sure, retailing has become a difficult business. However, the last year has proven that customers still want to shop in stores. Also, if a trade war makes Dollar Tree’s $1 price point more difficult to maintain, Dollar General will make market share gains. These factors should keep customers coming to Dollar General with or without a trade war. 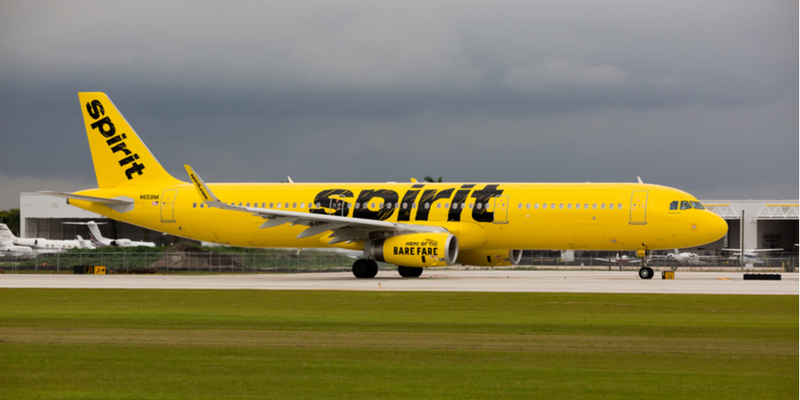 People wanting a low-cost flight to another domestic destination can look at Spirit (NYSE:SAVE). The ultra-low-fare airline has attracted investor interest with its high-growth and rate of profitability on low margins. In an industry notorious for losing money, this stands as an impressive feat. Its peer Southwest (NYSE:LUV) became popular by bringing much lower fares and much higher passenger counts to the airports it served. This became known as the “Southwest Effect.” Spirit has explored a second, smaller plane type to serve often-neglected midsize markets. Such a move could bring this same effect to places such as Fargo, North Dakota or Augusta, Georgia. A need to focus on domestic expansion could force the airline into this decision. Moreover, its foreign markets have not become the focus of the U.S. trade war. Yes, Spirit’s expansion has focused on Latin America, particularly South America recently. However, the recent trade agreement with Mexico bodes well for improved trade relations in the region. Moreover, the airline has shown no inclination to expand to Asia. Some trade-related danger looms because the company depends on Netherlands-based Airbus (OTCMKTS:EADSF) for its airplanes. However, that could also motivate the company to go into mid-size markets with smaller planes. Furthermore, SAVE stock has performed well. As a result, the stock has risen by almost 50% over the last 12 months. A need to increase pilot pay temporarily halted profit growth. However, analysts predict 28.4% profit growth next year. Its PE of 14.5 might not compare well to airline peers, but it still lags the overall market. Still, the profit increases, and by extension, the stock price growth, should continue with or regardless of a trade war. Perhaps no other company would see more of a direct benefit from a trade war than U.S. Steel (NYSE:X). The proclamation by Hyman Roth in The Godfather Part II that “we’re bigger than U.S. Steel” does not command the same level of respect today. Foreign steel imports have decimated this industry over the last few decades. Once the largest company in the world, its market cap now comes in at only about $5 billion. However, tariffs could bring some level of recovery. With the Trump Administration imposing 25% tariffs on steel imports, producing steel within the U.S. suddenly becomes cost-effective again. Also, its forward P/E ratio of about 5 could attract investors in this new growth environment. Thanks to tariffs, analysts forecast profit growth of over 200% this year. That will amount to a one-time bump. Still, the 2019 growth rate of 5.1% exceeds the average growth rate of 3.5% the company saw before the tariffs. I do not predict that X stock will reclaim its “world’s largest company” title. Nor do I think the products that no longer use steel will switch back to the material. However, steel remains an essential component of many products. Furthermore, I think a renewed belief in this industry could take the P/E ratio at least into the teens. Investors should also remember that a raw materials boom took X stock to a high of $196 per share before the financial crisis. Hence, it could go much higher than the below $30 per share level where it trades today. Whatever the catalyst, X stock should remain a safe bet as long as the 25% tariff remains in place. 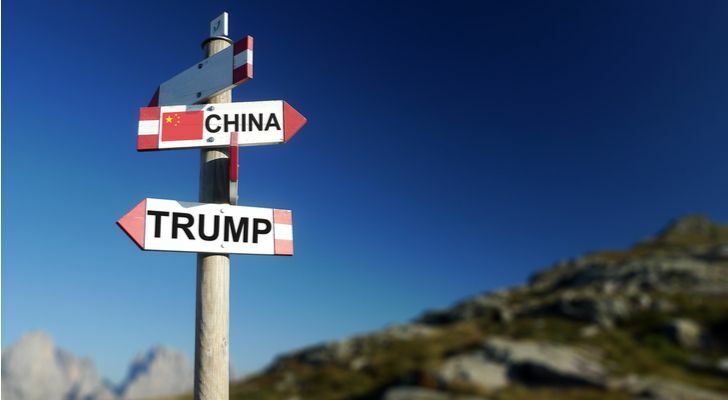 Article printed from InvestorPlace Media, https://investorplace.com/2018/09/5-stocks-to-buy-amid-a-prolonged-trade-war-slump/.